Have you been in a sports-related accident, car crash or had a bad fall and you are now suffering from traumatic brain injury? If you or your loved one is an injury victim, it is wise to seek legal counsel from a traumatic brain injury lawyer. Harbin and Burnett, LLP offers comprehensive legal counsel for injury victims throughout South Carolina and is knowledgeable in personal injury cases like traumatic brain injuries. We understand the unique challenges that traumatic brain injuries present. Because they have a reputation of excellence within the industry, clients have the added reassurance of knowing that the traumatic brain injury lawyer they will work with at Harbin and Burnett, LLP is a part of a team with a proven successful track record. For a free claim review, call 1(888) 821-0247. 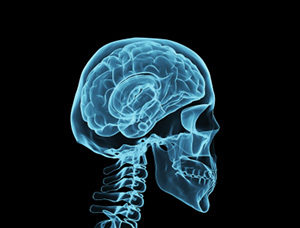 An estimated 1.7 million people suffer from brain injuries per year. Of the 1.7 million people, 52,000 die, 275,000 are hospitalized and 1.365 million, nearly 80 percent, are treated and released from an emergency department. In the United States, traumatic brain damage is a contributing factor to a third (30.5 percent) of all injury-related deaths. In 2000, direct and indirect medical costs of a traumatic brain injury, such as lost productivity, totaled an estimated $60 billion in the United States. Children ages 0 to 4 years, older adolescents aged 15 to 19 years and adults aged 65 years and older are most likely to sustain a traumatic brain injury. Adults aged 75 years and older have the highest rates of traumatic brain injury related hospitalization and death. Traumatic brain injury is caused by sudden damage to the brain. For example, a violent blow to the head or body or an object that penetrates the skull can cause a brain injury. Mild trauma might result in temporary dysfunction of brain cells while severe trauma may cause torn tissue, bleeding, bruising, long-term complications and even death. Sports injuries - Some sports that might be considered high impact or extreme sports may cause traumatic brain injuries like: hockey, boxing, football, skateboarding, and lacrosse. Falls In older adults and young children, falls are particularly prevalent. Examples are slipping in the bath, falling out of bed, falling down stairs and falling from ladders. Motor vehicle collisions Accidents that involve motorcycles, cars, bicycles and pedestrians may be causes of brain damage. Violence Gunshot wounds, domestic violence or child abuse can cause traumatic brain injuries. Shaken baby syndrome is when an infant is violently shaken and brain cells are damaged. Explosive blasts and other combat injuries In active-duty military personnel, explosive blasts are a common cause of traumatic brain injury. If you or a family member is a victim of a brain damage, do not hesitate to contact the law office of Harbin and Burnett, LLP and speak with a traumatic brain injury lawyer right away. By choosing Harbin and Burnett, LLP, you are selecting a South Carolina law firm with the dedication and experience to work on your traumatic brain injury case. Although personal injury litigation may be complex, our attorneys are ready to do what it takes to pursue full and fair compensation for you. With millions of dollars won in personal injury settlements and verdicts, we are committed to helping you obtain every dollar you deserve. Are you or your loved one suffering from a traumatic brain injury and mired in medical debt? Contact Harbin and Burnett, LLP by phone at 1 (888) 821-0247. You can also complete an online form to schedule your free case evaluation. Get started today on your path to justice today with an experienced traumatic brain injury.